World Vegan Day is marked all over the world on November 1. 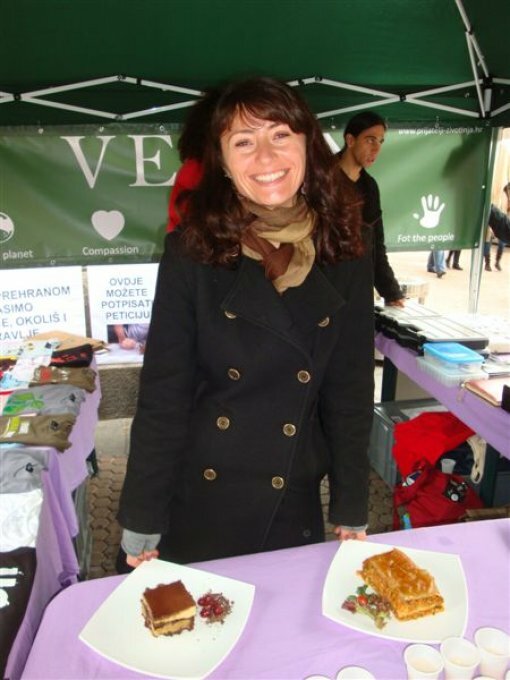 This day was initiated in 1994. by Louise Wallis, the then President of the British Vegan Society, in order to turn attention to compassion for animals and promote ethical, health and ecological aspects of veganism. The origin of the word "veganism" is in the word veg(etari)anism, which comes from the Latin word vegetus, which means healthy, fresh and full of life, or homo vegetus, which means – a physically and mentally healthy person, who has a balanced philosophical meaning of life. This year is the 67th anniversary of using the word "vegan." Vegans eat only plant based foods, and they do not eat animals (meat, fish, shellfish, etc. ), eggs, milk and dairy products, honey and other animal based foods (gelatine, caviar, etc.). Therefore they are often called real or pure vegetarians. In addition to their diet, vegans avoid participating in animal exploitation and killing with their lifestyle. They do not wear shoes and clothes made of leather, fur, wool, silk and feathers, they use cosmetics and cleaning products which are not tested on animals, they do not visit circuses with animal acts and zoos and do not buy animals, but adopt them instead. Because all animals have the right to live without being exploited by people. 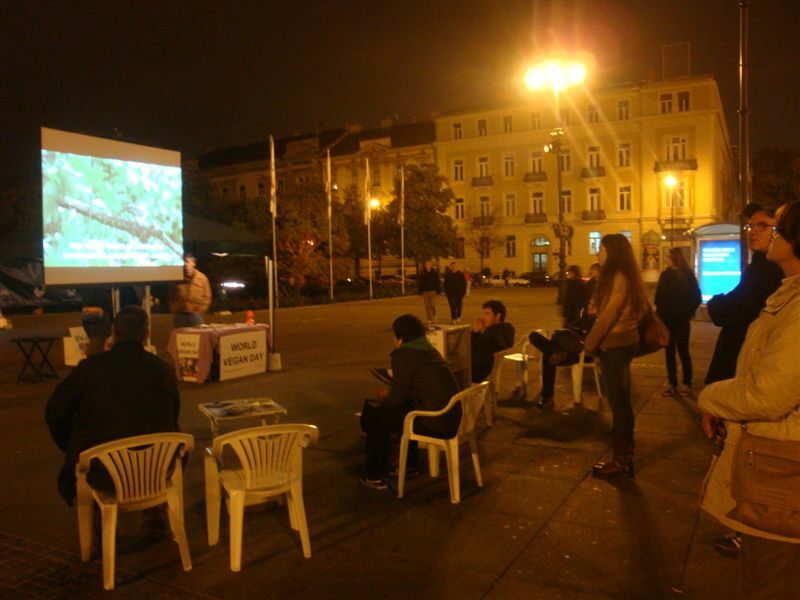 Animals are rutinely exploited and killed for meat, milk and eggs. Cows which are bred for milk and hens which are bred for eggs are mercilessly killed when their production starts to drop. Breeding cattle to produce food is unsustainable in the long run because land, water, fertilizer and other resources are necessary to breed cattle which would otherwise be used directly to produce food for people. Consumming animal fats and protein causes heart disease, colon cancer, lung cancer, osteoporosis, diabetes, kidney failure, hipertension, obesity and a series of other diseases in the organism. Cow's milk contains an ideal amount of fat and protein for calves, but too much for people because it is not intended for them. 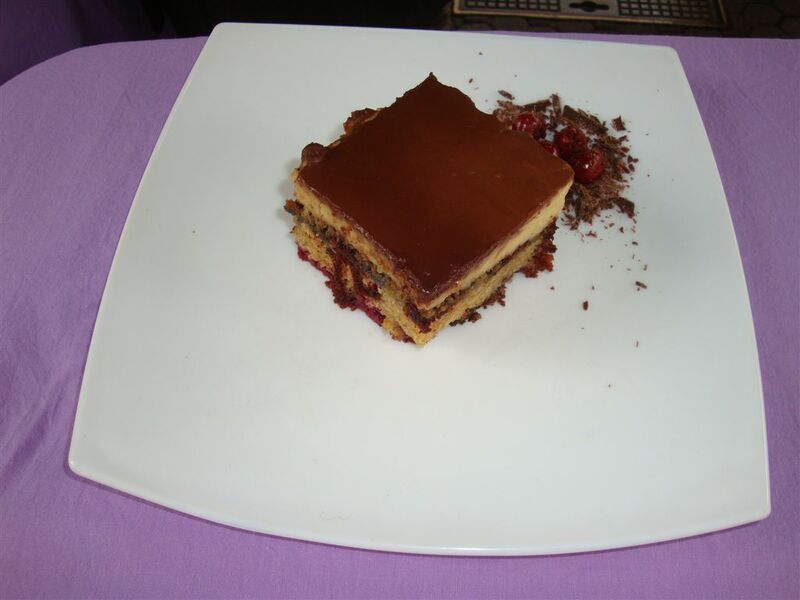 Vegan diet is exclusively plant based, but full of various tastes and smells. 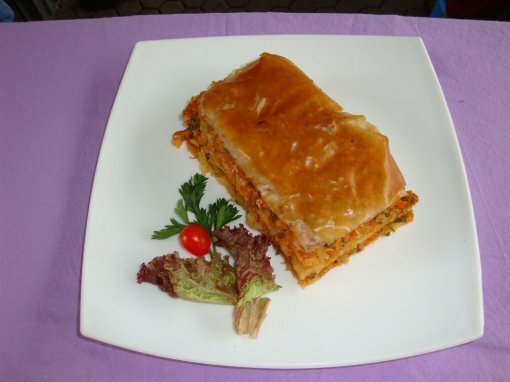 It is richer and heathier than standard European diet, and vegans get to enjoy the same dishes and tastes they are used to, including vegan varieties of traditional dishes like stuffed cabbage leaves, sausages, lasagna, pizza, steaks, barbeque, gulash, pancakes, ice cream, cakes, cheeses, milk... Everything made with plant based foods. 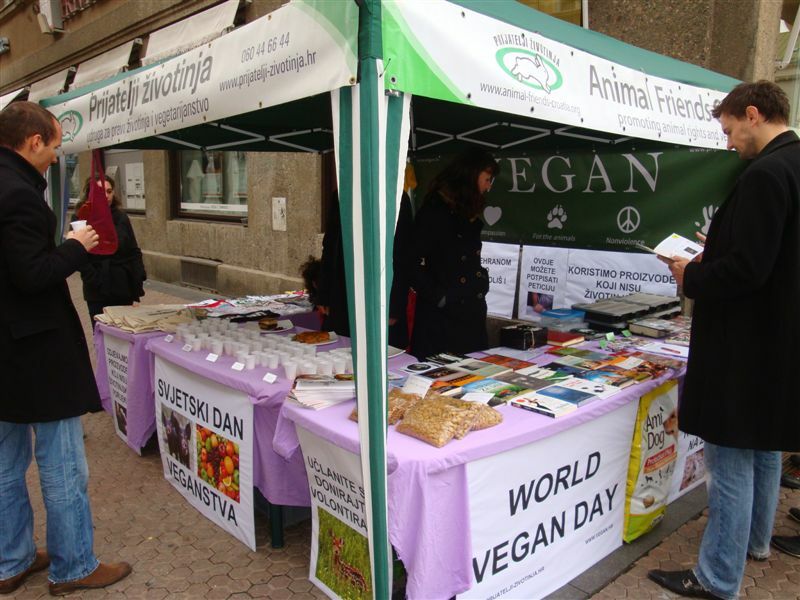 Veganism is unstoppably growing and becoming a lifestyle of many people aho want to contribute to a non-violent and healthy world. 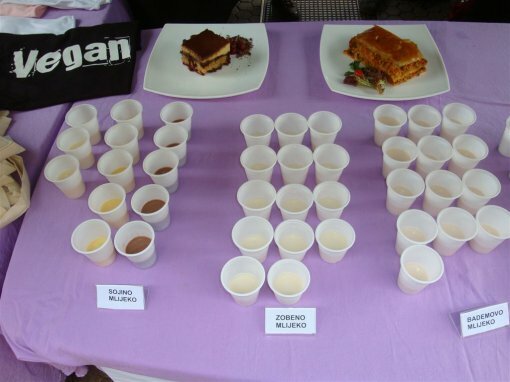 Among them are many famouse vegans like Alicia Silverstone, Woody Harrelson, Ellen DeGeneres, Portia de Rossi, Emily Deschanel, Olivia Wilde, Tobey Maguire, Jorja Fox, Bryan Adams, Joaquin Phoenix, Alyssa Milano, James Cromwell, Alanis Morissette, Anna Oxa, Barry White, Carl Lewis, Erykah Badu, Gillian Anderson, Jared Leto, Julia Stiles, Leona Lewis, Liv Tyler, Martina Navratilova, Morrissey, Prince, Sandra Oh, etc. World Vegan Day invites vegans, citizens who aspire to a diet without animal based ingredients, and everyone else to mark this day by enjoying delicious vegan dishes with their family members, friends and coworkers. Switching to a vegan diet is becoming a matter of general sustainability, considering that exploiting animals for food is connected with increased use of natural resources, world hunger and cataclismic destruction of environment. 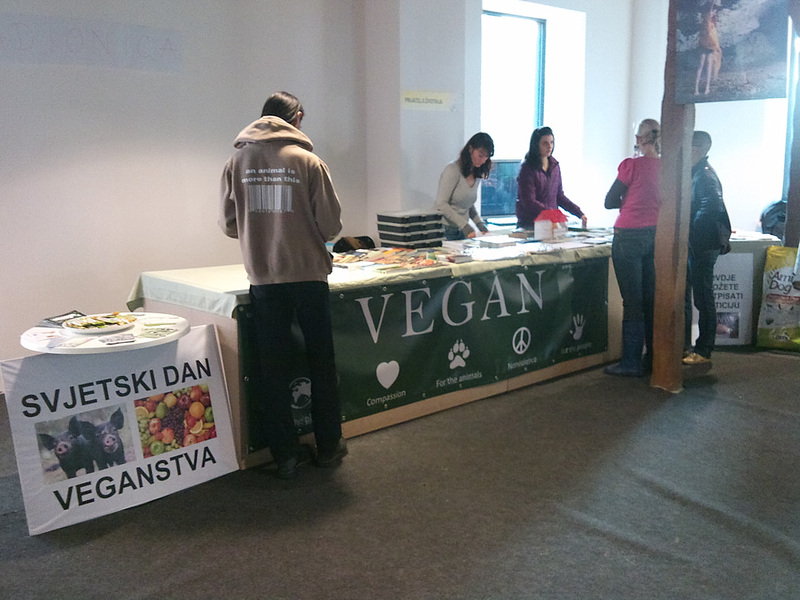 Further information on veganism can be found at www.vegan.hr. For those who want to go vegan, Animal Friends offers the help of Vegan Buddies, long-term vegans who will help make the transition to a new lifestyle easier with their advice and support. Application form can be found at the Animal Friends web site, where many recipes, Veggie guide of plant based products and other useful information can also be found. 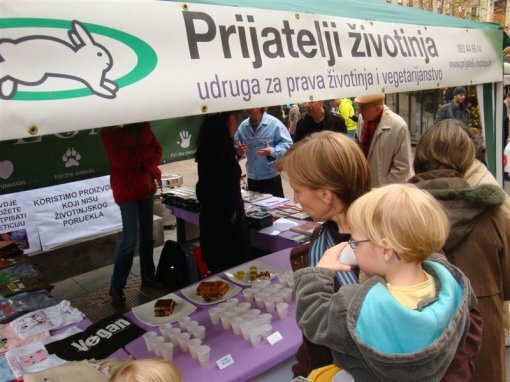 Animal Friends will mark World Vegan Day on Friday, October 28, at King Tomislav Square in Zagreb, where a newly published film "Making the Connection" and on Saturday, October 29, in Varsavska in Zagreb, where citizens will taste plant drinks, like oat, soy and almond drink, with many educational materials on all aspects of veganism.